Kings XI Punjab (KXIP) will play Delhi Capitals in the match no 13 of VIVO Indian Premier League (IPL), 2019 on April 1, 2019, at IS Bindra Stadium, Mohali. KXIP has won two out of three games they played in this season of IPL. Punjab won their last match against Mumbai Indians (MI), where they chased down the total of 176 posted by MI. 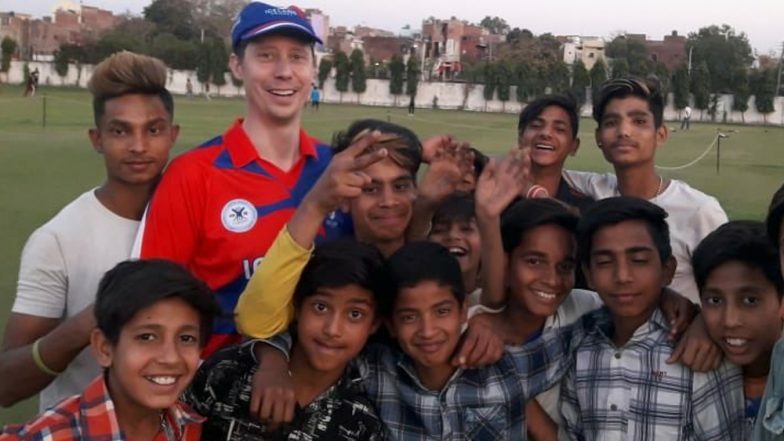 Ahead of their clash with DC, KXIP shares picture of Iceland mystery spinner Kato Jonsson training with Punjab team. KXIP vs DC Head-to-Head Record: Ahead of IPL 2019 Clash, Here Are Match Results of Last 5 Kings XI Punjab vs Delhi Daredevils Encounters! The inclusion of Icelandic spinner Kato Jonsson in VIVO IPL marks a historic day in Nordic cricket. Kato could become the first Icelandic cricketer to play in Indian Premier League for Kings XI Punjab, if he clears the trial at their camp. The spinner is making names in Europe for his backspinner action. IPL tournament provides the platform to talented Cricketers from around the globe; it gives cricketer from small cricketing nation to make big names. Sandeep Lamichhane is one other spinner from Nepal, who has made an impact in IPL by playing for Delhi Capitals. The Nepali cricketer made his debut in the previous season of IPL for Delhi. Kings XI Punjab vs Delhi Capitals Live Cricket Score 13th T20 Match. KXIP will look forward to winning the upcoming game against DC and earn two more vital points. Last match, their star batsman Chris Gayle crossed the figure of 300 sixes in IPL. Gayle along with opener KL Rahul will again need to provide a good start if KXIP wants to emerge victorious tonight. Apart from they Mayank Agarwal will also be required to explode with a quick inning, like the one he played in the last match against Mumbai, where he scored 43 off 21 balls.